Cross-platforms adaptive to mobile technology have lots of social apps that aid the user in chatting and connecting with friends on a daily basis. Kik is one such smartphone application that does the work of instant messaging and can completely replace the traditional messaging. 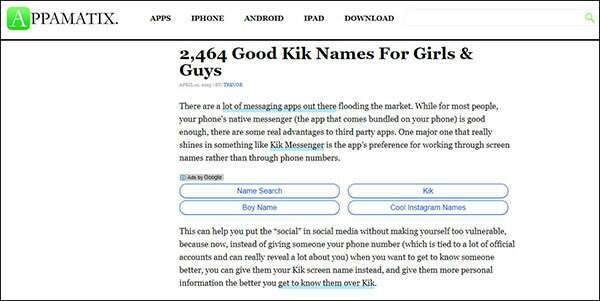 Unlike many social apps, Kik doesn’t need your phone number to create an account. One can create a free account by email and a password. 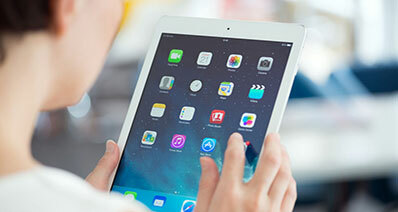 However, it does uses your smartphone's data plan or WiFi connection. 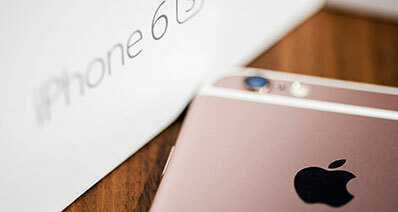 In short, it mimics your Smart Phones messaging app but comes with a lot more appealing features. In this, one needs to share their Kik username in order to increase their friend zone. Since it is the Kik messenger name that you need to share to reach out to new people, it is rather highly important that the name be the best one. There are some rules to be followed to choose a best Kik name to aid you in your attempt to make new friends. 1. A good Kik name must describe or better put, reflect your personality so that people will have an overview just by glancing at the username. It doesn’t matter if it is either a cool Kik name or a cute Kik name. 2. It is always preferred not to use your full username. A good Kik name should be approachable but not like giving out the extra details and laying out the information on the table. This is really needed to keep things light and casual. 3. A good kik name needs to be short and crisp usually, between 15 to 20 characters. You really don’t want to confuse your friends with ridiculously long usernames that seemed to be some brain teasers. People might end up typing your username incorrect no matter how cool Kik name happens to be. 4. Keep the username unique and relevant. Uniqueness can be achieved by using special characters and numbers. 5. Just because you need to have a cool Kik name, doesn’t mean you have to overdo the usage of all kinds of special characters. Underscores, numbers, and any special characters must go alongside your name smoothly and should not create confusion. Sometimes it is really hard for us to decide a good Kik name, and even if we end up with a cute Kik name, there is the problem that it may be already in use. 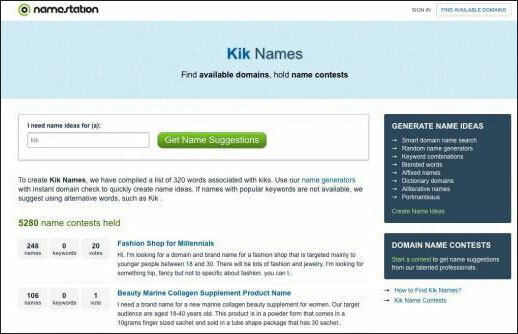 So, to avoid such conflicts and find yourself a cool Kik name, here is the list of some top sites that can generate Kik names. Jimpix is one of the best random cute Kik names generators that creates names by combining words from a range of different categories. 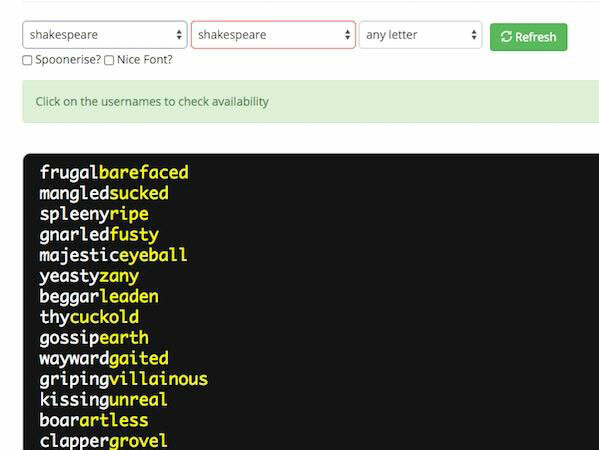 The username, for instance, can have many variations that end with Glyphicons, Tastes, Shakespeare, and Emoji. You enter a few keywords and several names with similar words and categories will be generated. You can get the tweaked random names with similar synonyms from this site. 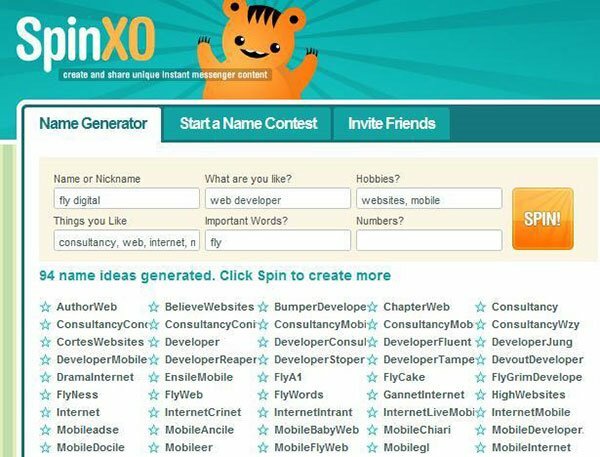 When you have clues next to nothing regarding your username, SpinXO will help you out. Answer any two questions and the spinner on the site will create a random username for you to choose. At first glance, you will likely narrow your eyes at the number of options that is just forty. However, you can rearrange the words from the given names and create a whole new unique username. 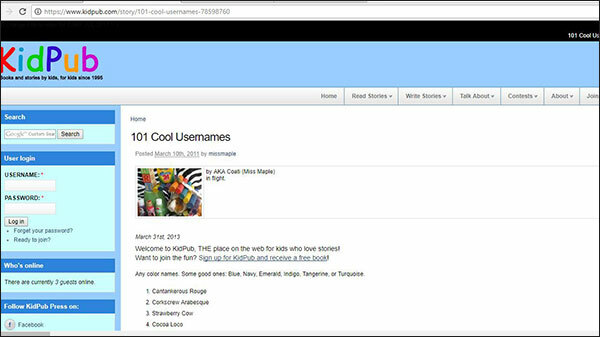 KidPub is not like the other sites generating random usernames. This one gives you a set of 101 names and you can make one on your own. This can be a fun task to do while making a cute Kik name. 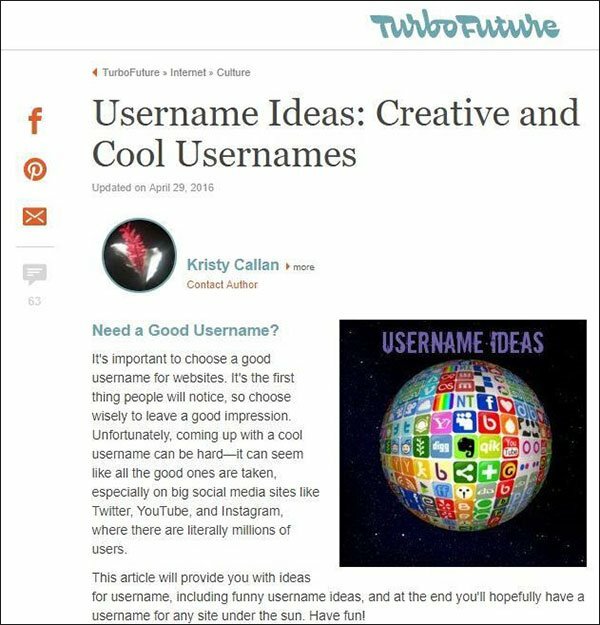 TurboFuture will not only provide some cool Kik names but also give you an idea on how to change your Kik username to a new name. This site presents some thousands of usernames to choose from. Although the options are more than enough, it is not hard to find the most suitable one for you. With this site, you can try out different names and experiment with new names every month with their revised list of 40 cool names. With the Kik messenger as an incredible chatting application, everything is perfect until you lose your phone or accidentally have all the data erased. 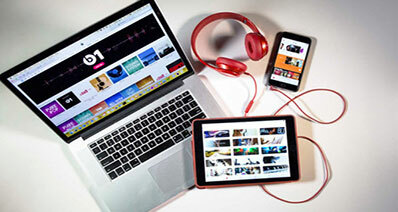 In order to avoid such huge mishaps, it is always better to have a backup on a safe side. This task of restoring and backing up your Kik can be done quite efficiently using iSkysoft Toolbox - iOS Kik Backup & Restore. Backup of Kik chats is possible on both iOS and Android platforms. Restoring is possible from the previous backup even when the Kik is reinstalled or when the pictures or messages are accidentally deleted. 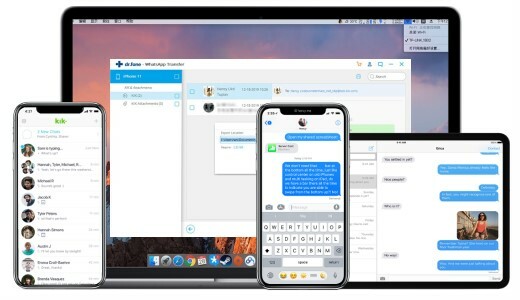 The messages and pictures can be exported to PC/Computer for better convenience.